These days there is little time to celebrate or brood after a cricket series. After a long tour of England some key India players who play in all three formats of the game are in the Gulf to play the Asia Cup. On return they are up against the West Indies before another long taxing tour to Australia.The focus is shifted so fast that everything preceded is history for the statistician to record. Their Australia tour third leg of the year s Grand Slams after South Africa and England will be another gruelling one. Skipper Virat Kohli got a breather to keep his feet up and follow his teammates playing in the Asia Cup on the telly. The break should help him ruminate about his captaincy and why he lost the two tours he could have won with a little bit of application and some luck. The stocktaking is a part of life and so is in cricket after every tour. Not many former cricketers or the itinerant correspondents are happy with the team s performance in South Africa and England more so the way the coach and captain reacted to the scrutiny. Captaincy and team selection are the things on which not everyone will be in agreement. Some question the team selection before the game and many are wiser after with the advantage of hindsight. It must be said that captaincy particularly bowling changes and field placements were not thoughtful if not mindless. Whether Kuldeep Yadav should have played at Lord s on a wet English summer day Ravichandran Ashwin at Southampton or Cheteshwar Pujara should have been dropped for the first Test are not the issues that led to India s defeat. If Yadav had taken wickets and had Pujara played and failed their showing in the run-up to the Tests would have come into question. Same way the class and talent was not fairly judged the dependable Murali Vijay who got some big runs overseas was sent back after failing in two Tests whereas the other two openers were retained for no apparent reason except their ability to turn matches on their day. Till the last day of the series when he came up with a strokeful hundred Lokesh Rahul s performance was not commensurate with his enormous potential though he made up with his outstanding slip catching to retain his place in the eleven. It seemed Shikhar Dhawan was given the opportunity to make sure his technique is not suited for seaming and bouncy pitches. Will he be given another chance against the West Indies to allow him to stake his claims for a berth in the Australia-bound squad or will Vijay get another opportunity? There is nothing new about the selectors and the team management not being on the same page. There have been a number of instances when the team management snubbed the selectors choice. The clash of minds was seen again when the late joinee Hanuma Vihari who came in for the last two Tests was preferred over Karun Nair only the second Indian to score a triple hundred in Tests and that too against England. Mind you Nair was picked in the original squad and retained for the entire series. The only argument the selectors and the team management can have is that Hanuma was in form having scored heavily for India â€˜A against international sides before the Oval Test whereas Nair had only been accompanying the drinks brigade the entire summer. The simple fact is that Indian batsmen let down the bravehearts Ishant Sharma Mohammad Shami and Jasprit Bumrah who for the second series in succession bowled the team into a winning position overseas. 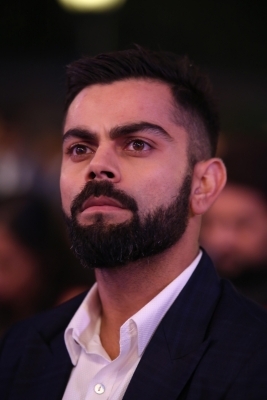 When it comes to batting there was no support for Kohli and the captain publicly stated that he felt miserable after his failure in the second innings of the Birmingham Test which India lost by 31 runs. He must have had a similar sick feeling after the way he got out in the second innings at the Oval. Who knows if he had stayed and Rahul and Rishabh Pant played around him the team could have even won or returned with an honourable draw in the last Test. The word draw is not in the dictionary of the coach and captain. Both Rahul and Pant were either advised to bat the manner in which they were trying to potter around or they were simply overcautious to justify their selection. Both of them and Hardik Pandya should have been told to bat they way they normally do. They looked scared of getting out playing audacious shots. This batting failure brings us to the topic of preparation for a major tour playing an adequate number of warm-up matches. After their foolhardy decision not to take practice matches seriously now coach Ravi Shastri wants a fair number of first-class matches before they go into the Test series. Even for the hosts these matches should help try their talented youngsters more so when Australia is in the process of rebuilding their side. Kohli too may look at practice games seriously. It is high time Shastri and Kohli walked their talk.